In November 2017, U.S. crude oil production hit 10.038 million barrels per day, a level that had not been reached since 1970. 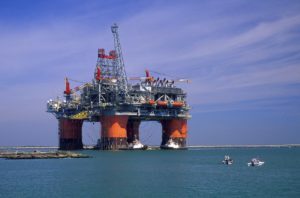 The Trump administration has called for a major expansion in offshore drilling. “American crude oil is a gamechanger in international trade, global politics and domestic energy security,” Todd Staples, president of the Texas Oil & Gas Association, said in a statement following the Energy Information Administration’s release of the crude oil production numbers. “Crude oil imports are down 20 percent from 2006 and today we are competing with the Middle East in the export market. These outcomes were unthinkable a decade ago and are a direct result of our strong workforce, dedication to technology and consistent regulations and policies,” Staples said. U.S. production has nearly doubled in the past decade, according to federal data, which showed production fluctuating between 4 and 6 million barrels per day between 2000 and 2010. Texas set a 48-year record, producing 3.89 million barrels each day last November. Shale has largely driven the production increase as vast new fuel deposits have been discovered in North Dakota and elsewhere across the country. “We have ended the war on American energy … We are now very proudly an exporter of energy to the world,” President Donald Trump said during his State of the Union address. The Trump administration has committed to opening oil drilling in Alaska’s Arctic National Wildlife Refuge and has called for a major expansion in offshore drilling. Last month, driven by Trump’s tax cuts, ExxonMobil announced it would invest an additional $50 billion in its U.S. operations. “Good to see sound policy laying the groundwork for America’s future economic success,” ExxonMobil CEO Darren Woods said.